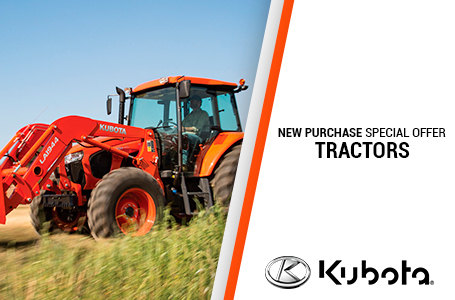 Bi-Speed Turning: Kubota exclusive Bi-Speed turning is standard. When Bi-Speed is engaged, the front tires will rotate faster than the rear tires, pulling the front of the tractor around keeping a tight turning radius. Transmission: High productivity requires versatility, such as traveling at low or sustained speeds. 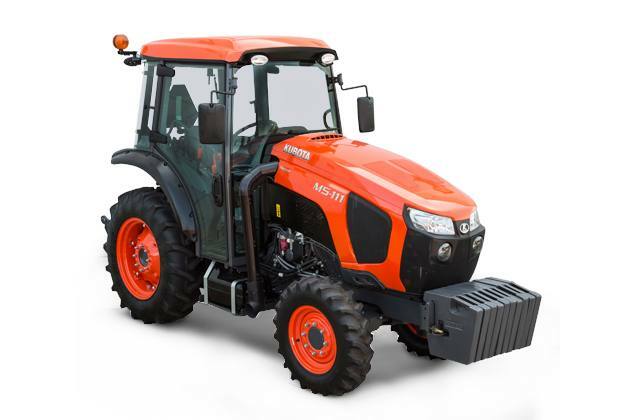 This tractor's transmission has 12F x 12R speed (24F x 24R is available on M5N only), with six speeds in two ranges, making sure the right gear for the job is always available. The shuttle shift is electric over hydraulic, making direction changes a breeze. These tractors also have economy 540/540E PTO as standard equipment to save fuel and reduce noise when light duty jobs are being performed. Improved Hydraulics: The M Series Narrow tractors have more standard rear remote valves than before, now offering 2 valves as standard. With 18.1 GPM flow (16.7 GPM for M4N) and optional third, fourth or fifth remotes (all valves being independent flow control valves), the tractor is ready to accept implements requiring multiple valves. Redesigned Cab: To promote operator efficiency, the dash has been updated and contains a multi-function, multi-view intellipanel. All main controls are on the right hand side of the operator, while the steering wheel has 40 degrees tilt. Dual side mirrors and an easy access fuse box are standard.